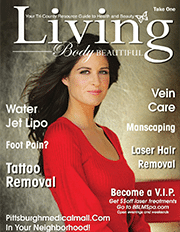 Living Body Beautiful focuses on the expert beauty and health services found right here in your community. With our magazine, you will find trusted health care professionals from whom we have seen quality work and treatment of patients for many years. This is who we trust and rely on and are proud to share with our readers. The providers in our magazines share our practice philosophy of excellent customer service and putting patients first. They are colleagues that we have sent our family for many years. To learn more about Living Body Beautiful – check out our social media pages, where we share the latest in health and beauty.